A former lieutenant of former Al-Qaeda chief, Osama bin Laden, has been killed in fighting with pro-government militiamen in Syria, a monitor said Saturday, according to the AFP news agency. 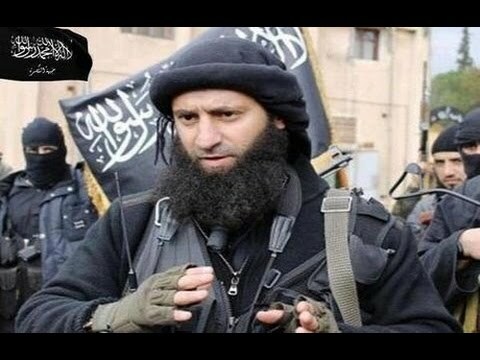 “Abul Hassan al-Tunsi, an important leader of Al-Nusra Front, was killed in clashes Friday between Islamist rebels and pro-government militia around the Shiite villages of Fuaa and Kafraya in Idlib province,” said Syrian Observatory for Human Rights director Rami Abdel Rahman, according to the report. Tunsi, who was in his 60s, arrived in Syria in 2012, Abdel Rahman said. Al-Nusra Front is one of the main Islamist rebel groups in Syria. It pledged allegiance to Al-Qaeda in April of 2013 and was later blacklisted by the United Nations as a terrorist organization. In addition to fighting the regime of President Bashar Al-Assad, Al-Nusra has also been fighting other rebel groups, most notably the Islamic State (ISIS). Al-Nusra and ISIS had temporarily agreed to work together several months ago but by June this year that alliance seemed to have ended, when ISIS jihadists beheaded 12 men from rival Syrian rebel movements. Three of those killed in the new video were from Jaysh al-Islam, one of the main rebel groups in the Damascus area, and a fourth from Al-Nusra Front. Most recently, Al-Qaeda leader Ayman al-Zawahiri said that ISIS and its leader Abu Bakr al-Baghdadi are “illegitimate”, but also said his followers would join them in fighting the Western-led coalition in Iraq and Syria if possible.